Albert Franklin Yeager was born in Kansas in 1892 and graduated from Kansas State College with a bachelor's degree in horticulture in 1912. 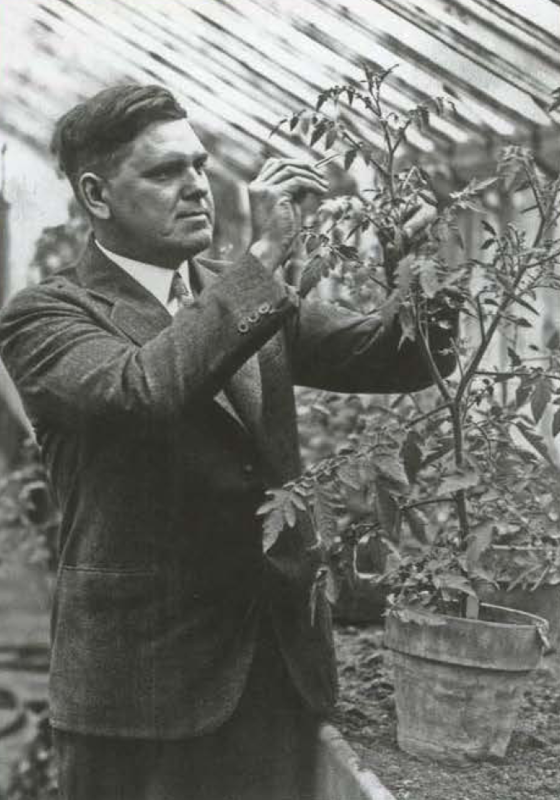 In 1916, Yeager earned his master's degree in pomology, the science of growing fruit, from Oregon State College (now Oregon State University). After graduation, he was hired by Pennsylvania State College as an instructor of horticulture and pomology. At that time, chestnut tree bark disease was devastating the trees in the eastern United States, especially in Pennsylvania. The trees were significant to the economy as they were used to make tannic acid, telegraph and telephone poles, and railroad ties. The governor created the Pennsylvania Chestnut Blight Commission, which hired Yeager as a field agent. Yeager worked at this position for a year, then taught vocational agriculture for two years at Crete High School in southeastern Nebraska. With the end of World War I and many returning servicemen heading to college, enrollment at North Dakota Agricultural College (now North Dakota State University) increased. In 1919, at age 27, Yeager, along with his wife Arline and infant daughter, Mary, moved to Fargo, North Dakota and began working in the Horticulture and Forestry Department. In the February 27, 1919 edition of the student newspaper, the Spectrum, they reported, "The development of horticulture has been very progressive in this state and the future outlook is indeed more and more promising. The work has expanded to such a degree that it became necessary to obtain an additional man for this purpose and Mr. A.F. Yeager has recently been secured." They continued, "He will arrive March 15 and will assume his duties immediately. With the exception of teaching a few horticultural subjects, Mr. Yeager will devote all his time to the work in the experiment station." He began working on developing vegetables and fruits to overcome these North Dakota gardening challenges. Since some of the earlier work at the experiment station had been with corn, he started his efforts there. His goal was to create a variety with longer ears, more kernels, and a shorter maturity date. His efforts were rewarded with the introduction of 'Sunshine' sweet corn in 1927. Probably his biggest success while in North Dakota was in developing tomato varieties for that often harsh climate. Before his introductions, growing tomatoes successfully there was extremely challenging. He not only was successful in his vegetable breeding work, he also juggled the fatherly duties of a young man with a growing family (Albert, Jr. was born in 1928), with career and educational development. From October of 1930 until July of 1931, Yeager took a sabbatical leave from the college to begin work on his Ph.D. degree at Iowa State College. Yeager's work was greatly appreciated and recognized by North Dakotan gardeners, farmers, and the press alike. He authored nineteen bulletins and his news releases were frequently published in North Dakota newspapers. During his eighteen years at North Dakota Agricultural College (1919 to 1937), A. F. Yeager created more than twenty new varieties of fruits and vegetables earning him the nicknames "Luther Burbank of North Dakota" and the "Plant Wizard of the North" by the press and his peers. Even though he was well known and appreciated in North Dakota for his agricultural contributions, he was not immune to the economics of the Great Depression. As a matter of fact, North Dakota was hit very hard by the depression and cost cutting measures throughout all levels of the state's government, including the university, were implemented. Although he was not terminated, much of his budget, support staff, and salary were so greatly reduced that he decided to it was in everyones best interest to move on to a position where he could continue his work. Having been awarded his doctorate the year prior, Yeager submitted his resignation on September 30, 1937. 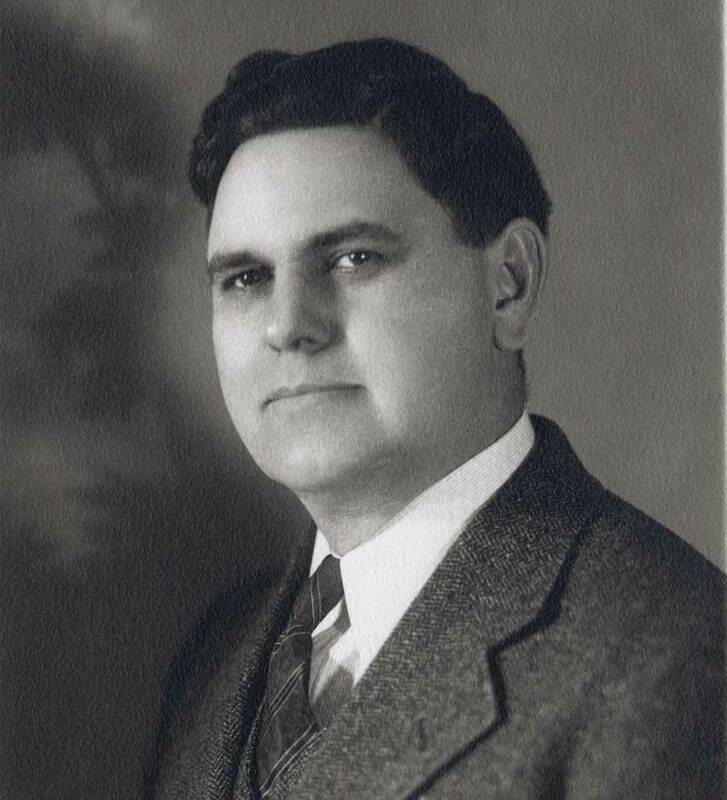 Dr. Yeager worked for a short time teaching classes about vegetable crops at Michigan State University, and then in 1939 he accepted the position as chairman of the Department of Horticulture at the University of New Hampshire, where he remained until he retired in 1951. In 1950, he received national recognition when New Yorker magazine reported he had pioneered a midget watermelon and developed a variety of tomato with "four times the vitamin C content of the average tomato and three times the vitamin content of the average orange." Certificate of Merit in Plant Breeding by the Vegetable Growers Association of America in 1953. The Stevenson Memorial Gold Medal by the Manicoba Horticulture Association of Canada in 1954. The Robertson Gold Medal for "significant concribution to American Horticulture" in 1956. The Wilder Medal from the American Pomological Society in 1957. He was a Fellow of the American Association for the Advancement of Science, Fellow of the American Institute of Biological Scientists, and President of the American Society of Horticultural Science (1951). He passed away on November 4, 1961. "Dr. Albert F. Yeager Dies at 69; New Hampshire Horticulturalist," New York Times, November 6, 1961, p. 37. "The 'Plant Wizzard of the North': Albert F. Yeager at North Dakota Agricultural College," by Barbara Handy-Marchello, North Dakota History, Volume 76, Numbers 1 & 2, pages 34-45. "Horticulturist contributed to North Dakota agriculture," by Curt Eriksmoen, Bismarck Tribune, November 27, 2016. This article may contain sections that are republished, for educational purposes. Text and images carry the copyright of their respective authors, photographers, and publishers. This page may be freely linked but not duplicated in any fashion without prior written permission of the respective copyright holders.